soon learn that they are weak in certain areas, and awareness can build up over time in a class regarding the perceived abilities of everyone in it. 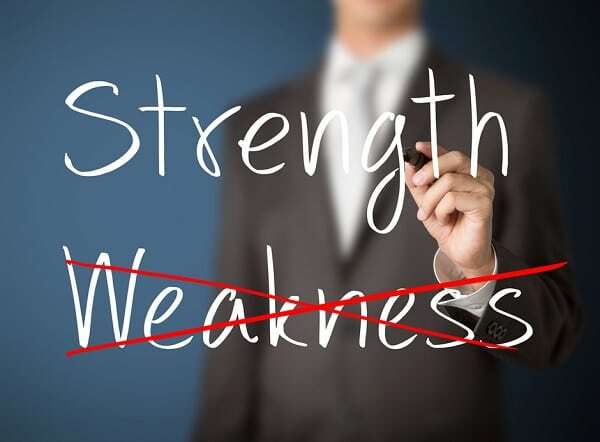 While it is vital to assess and remedy academic weakness, I have found that teaching about character strengths provides a great balance to this deficit –based approach. It gives kids a chance to identify their top character strengths, to spot strengths in others, and to use their strengths on a daily basis. Identifying and using character strengths is one of the key components of Positive Psychology. 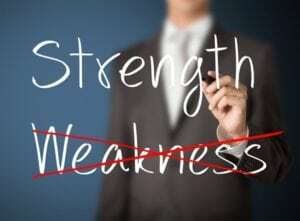 24 character strengths were identified by Seligman and Peterson in 2004. These strengths are specific personality characteristics which are associated with well-being- e.g. gratitude, zest, creativity, kindness, social intelligence, self-control, perseverance, humour. Seligman and Peterson then developed an assessment test, the VIA-IS questionnaire, to help people to identify their top strengths. You can complete this questionnaire online if you’re interested in finding out your own top strengths. Research has shown that identifying and using your top character strengths leads to increases in well-being. This makes sense – I found that helping the kids to identify and use their strengths seemed to provide an immediate boost in self-esteem. We start our Character Strengths module by learning about the strengths (six strengths per lesson). Then we do lots of strength-spotting exercises- the kids love hearing their classmates telling about when they spotted each other displaying a particular strength. Kindness, teamwork, creativity, humour, self-control and love of learning are some of the most commonly noticed strengths in our class. We also integrate our learning throughout the curriculum, for example, we discuss the character strengths of characters from novels and readers. Our recent history lesson on Florence Nightingale led to a stimulating discussion on her character strengths and how she used them. I find that the concept of character strengths gives me such a positive base to build so many lessons on. After learning about all 24 strengths, the kids talked with their parents and tried to identify their own top five strengths (they are too young to use the VIA questionnaire). This is just to give them a flavour of their strengths, and it’s important to emphasise that different strengths can develop over time too. The following day we had a lovely session in which each child proudly talked about their top five strengths. It was great to see every child in the class having their moment to shine! After they identified their strengths, we did a number of follow up sessions in which the children talked and wrote about times when they used their strengths. Then they planned and tried out ways to use their strengths in new ways. I find the concept of character strengths so beneficial in the classroom in many ways. For example, I might remind a kid to use his or her strengths to help solve a problem or dilemma. Or before a particular lesson or task, we might discuss which character strengths we could draw on to help us. It’s almost as if we have a whole new language to communicate with. Snyder, C. R. (2009). Oxford handbook of positive psychology. Oxford University Press. psychology: The science of happiness and human strengths. Routledge. Seligman, M. E. (2004). Character strengths and virtues: A handbook and classification. Oxford University Press.